Huge specimen in hanging basket. - Tropical multi-purpose fern. It can grow as a groundcover, climber or creeper and also in hanging baskets. It is an excellent house plant, native to Australia and the islands of the South Pacific. We offer a huge specimen in hanging basket. Tropical multi-purpose fern. Microsorum scolopendria can grow as a groundcover, climber or creeper and also in hanging baskets. Fronds can eventually reach 1 meter in length. They grow from black-scaly stems that creep along the soil surface or grow on tree trunks. 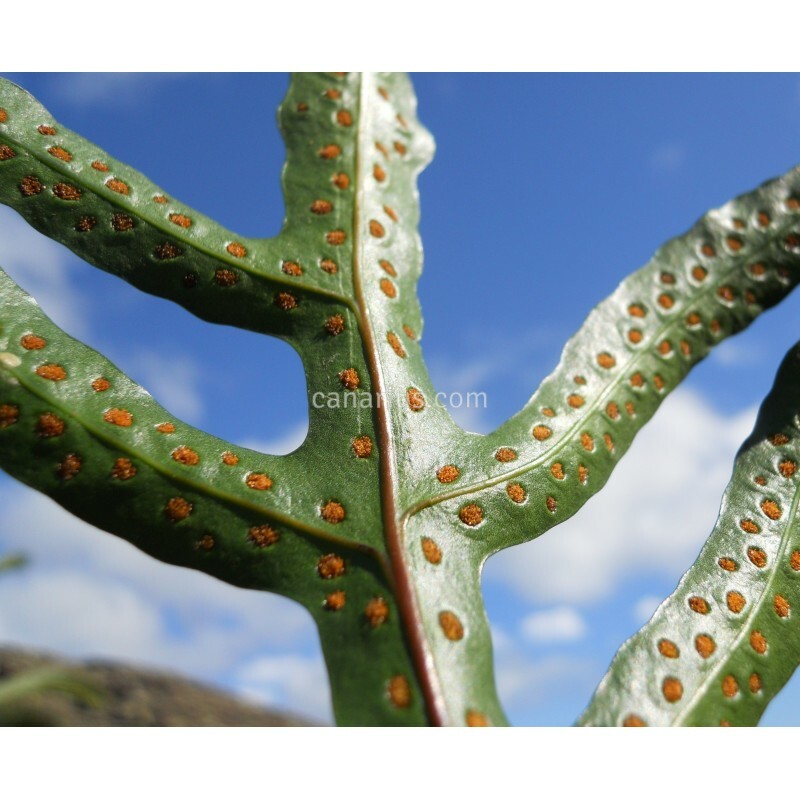 Microsorum scolopendria is an adaptable fern native to Australia and the islands of the South Pacific. This species is perfectly adapted to indoor conditions and makes an excellent house plant. It will grow in any room with bright light and it is easy to mantain. 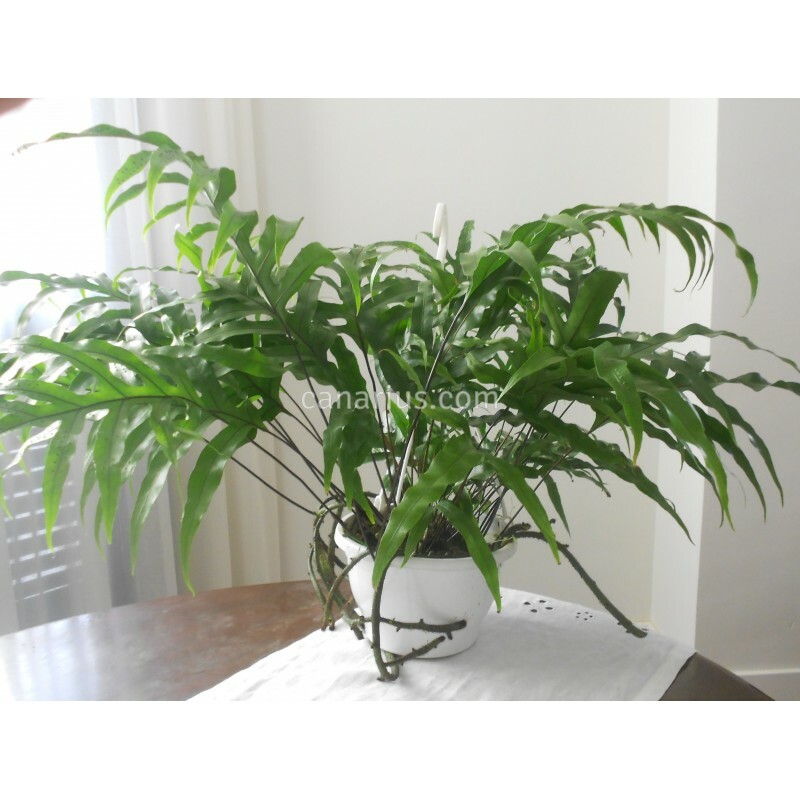 It is also used in tropical greenhouse settings or in the terrarium, together with bromeliads and other indoor plants.